HEY PARTY PEEPS! 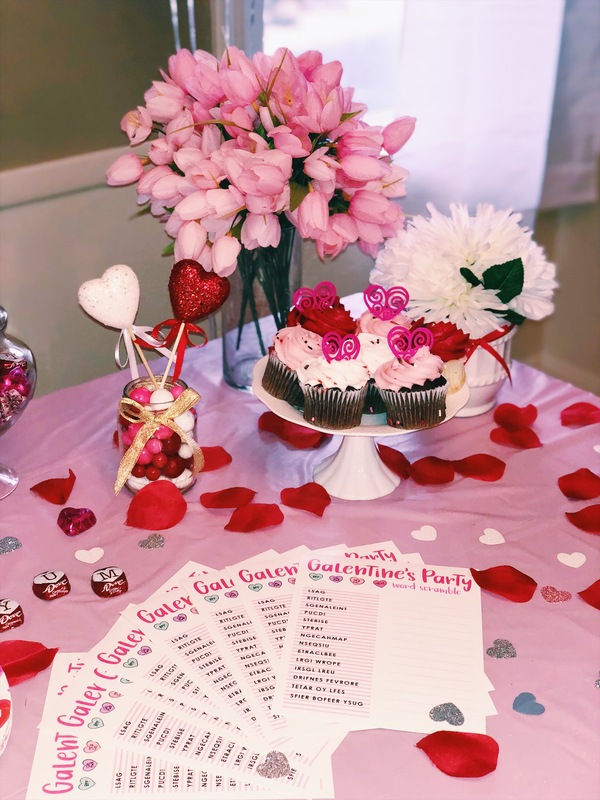 Grab your girlfriends because we are throwing the ultimate Galantine’s day party!!! No boys allowed at this one hunnies! 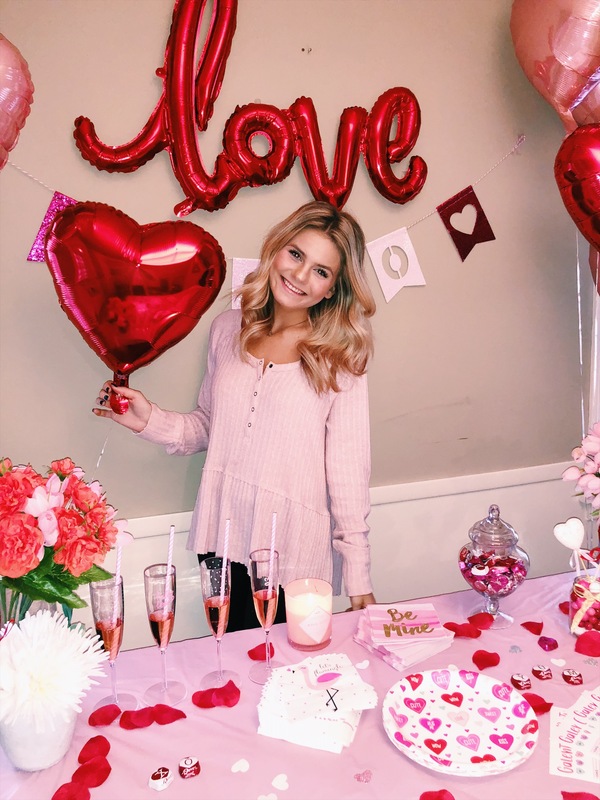 Valentine’s day is one of my fav days because it’s so fun to celebrate love and show the people you care about that you truly appreciate them. 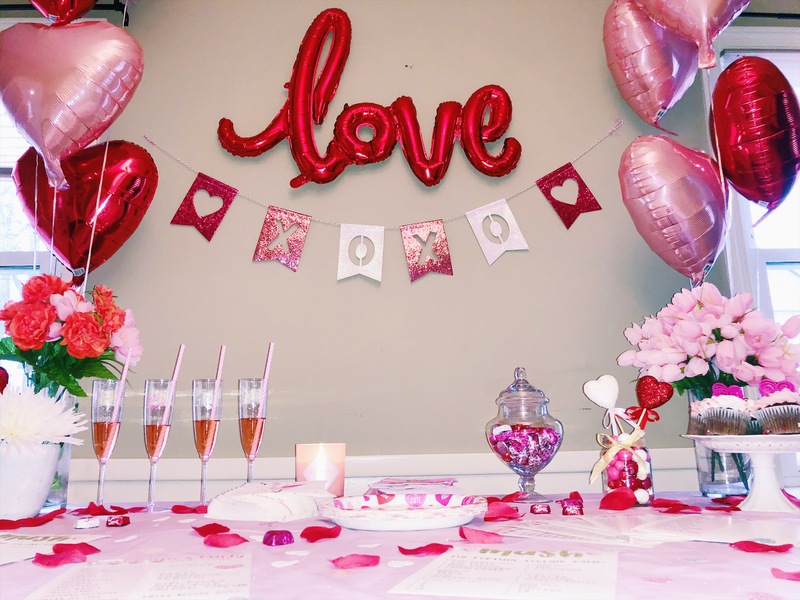 Even if you have someone to celebrate Valentine’s day with, you can always grab your closest ladies and have a fun little party to celebrate your friendship!! 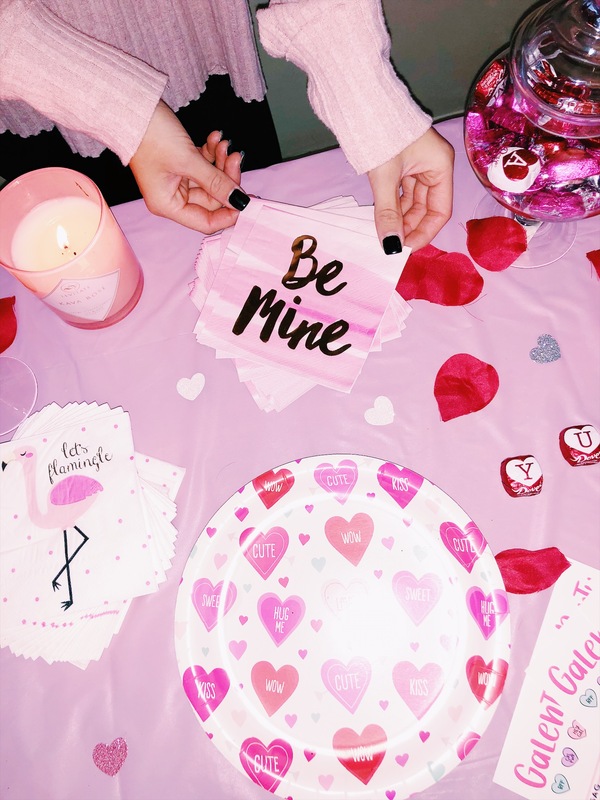 I think Galantine’s day is so cute because it’s so important to celebrate your friendships too!! 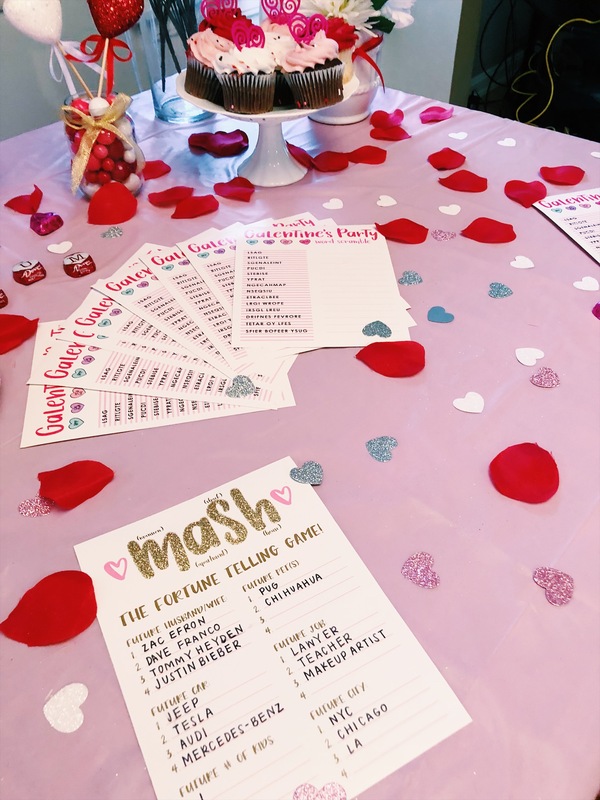 If you want to find out how to throw the cutest Galantine’s Day party then please keep reading! First, you need to get your party space looking festive!! 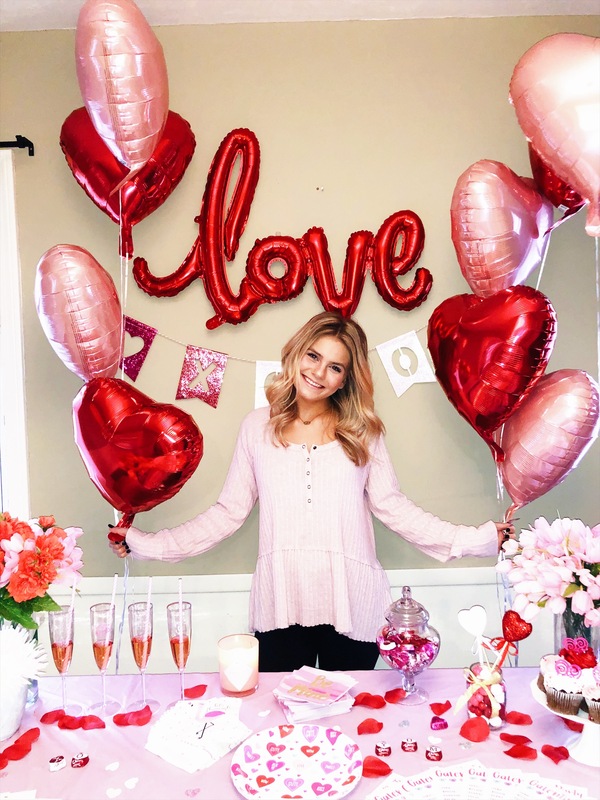 Pink and red heart balloons are a must! One of my greatest tips is to check out target’s dollar section. Target always has the cutest things, that is where I purchased the XOXO banner and the LOVE balloon. 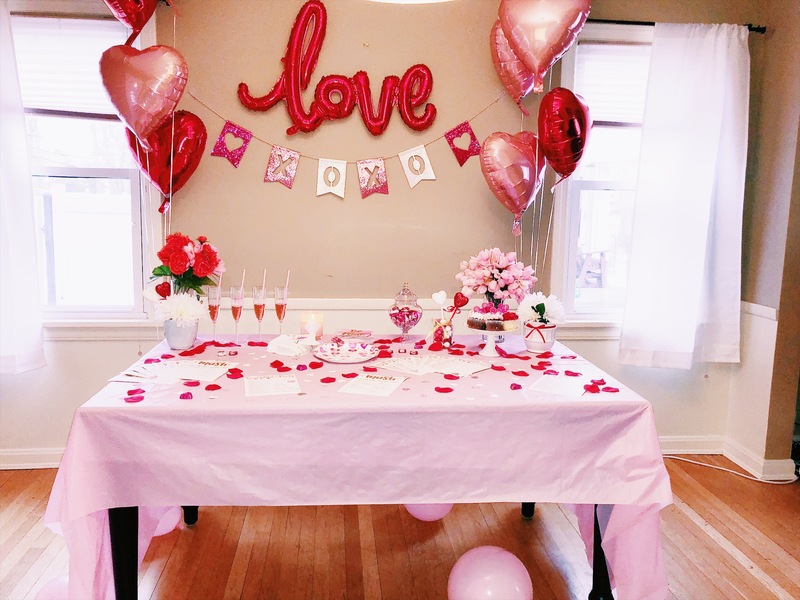 To create the cutest set up, put down a pink table cloth as your base and grab some pink flowers. 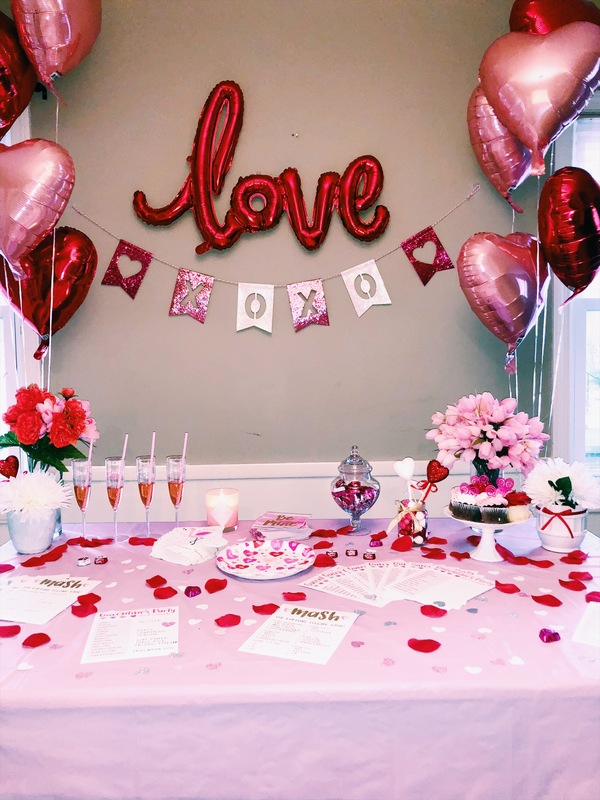 Sprinkle the table with rose petals, chocolate, and sparkles to pull it all together! Pop some champagne or pour the rosé!!!! 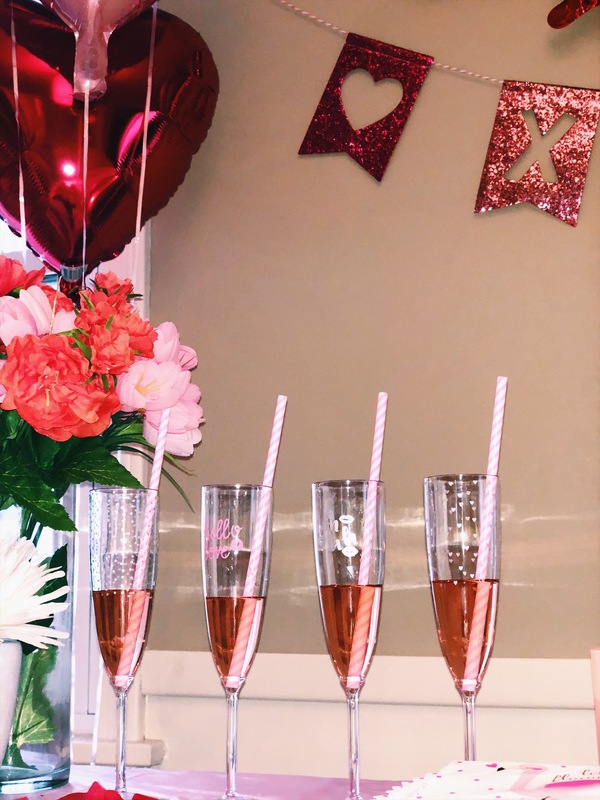 I got these adorable champagne flutes at target as well as the pink straws! Your guests will love them, I’m so obsessed myself! 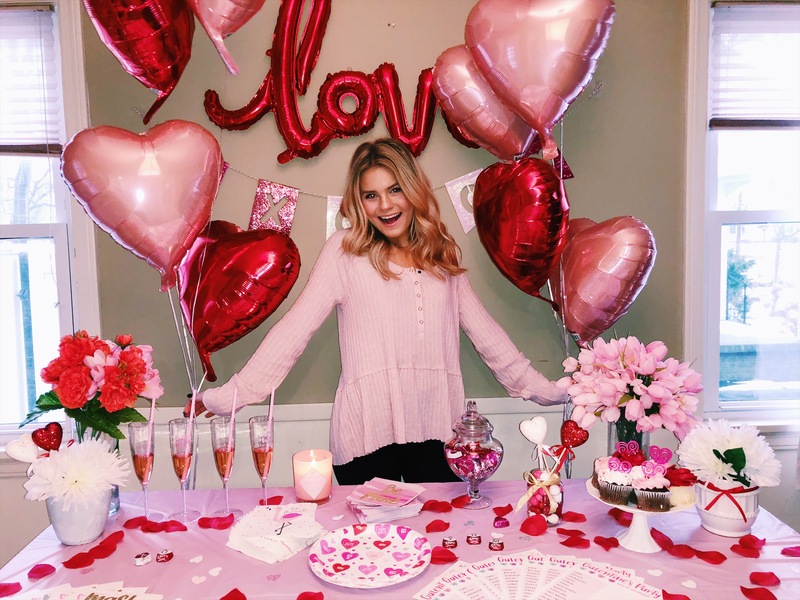 Of course you will need some yummy treats for your girlfriends! I have some cupcakes displayed as well as some candy. I love the Dove chocolates in the candy dish because they have little love notes in the wrapper, how adorable. You can even asks your guests to bring a treat to share! Festive napkins and plates are the best because they are practical but also add to the decor. I purchased mine from T.J. Maxx, they always have the best party supplies. 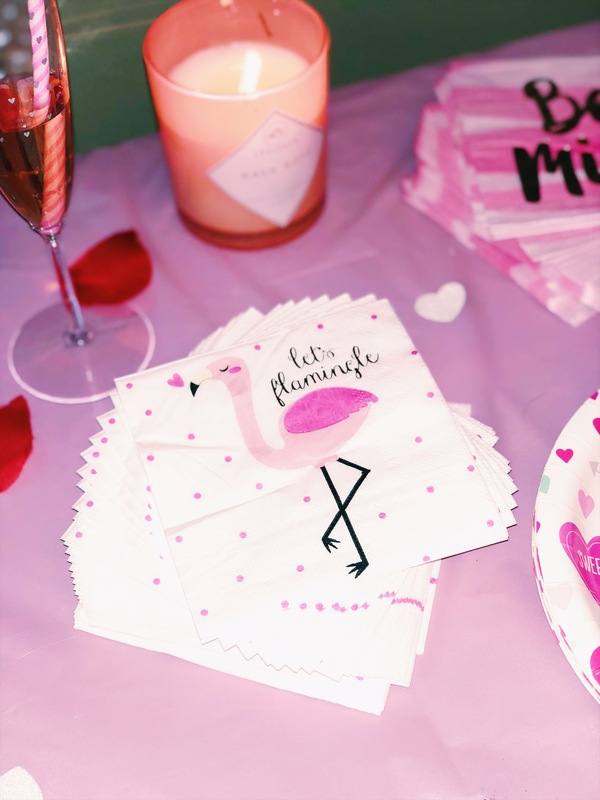 These napkins are just the cutest!! 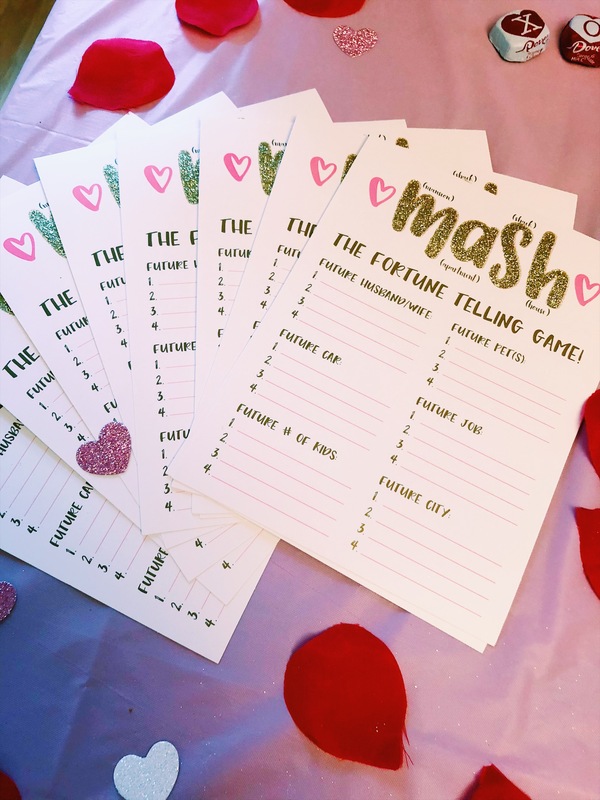 Finally, have a few activities or games planned for your party. I found these little cards are target for only $1. 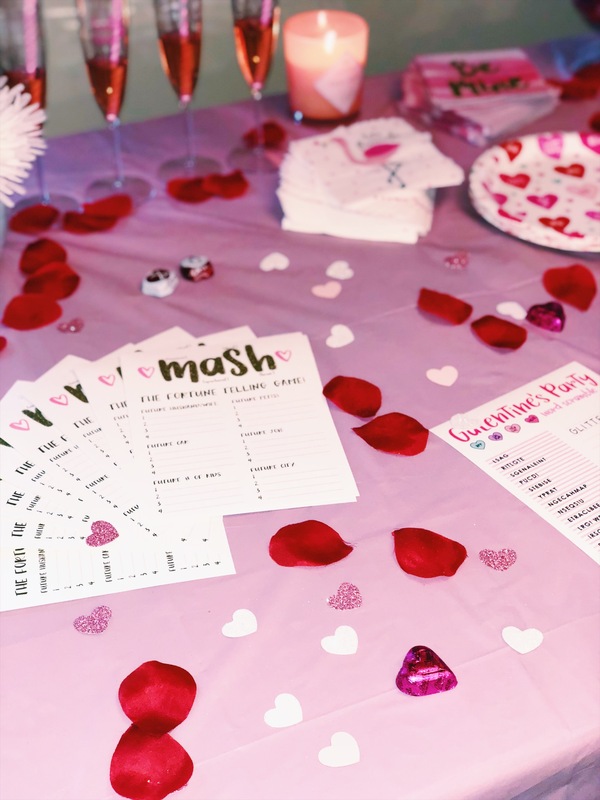 They are perfect for a Galentine’s Day party and so fun to do to! 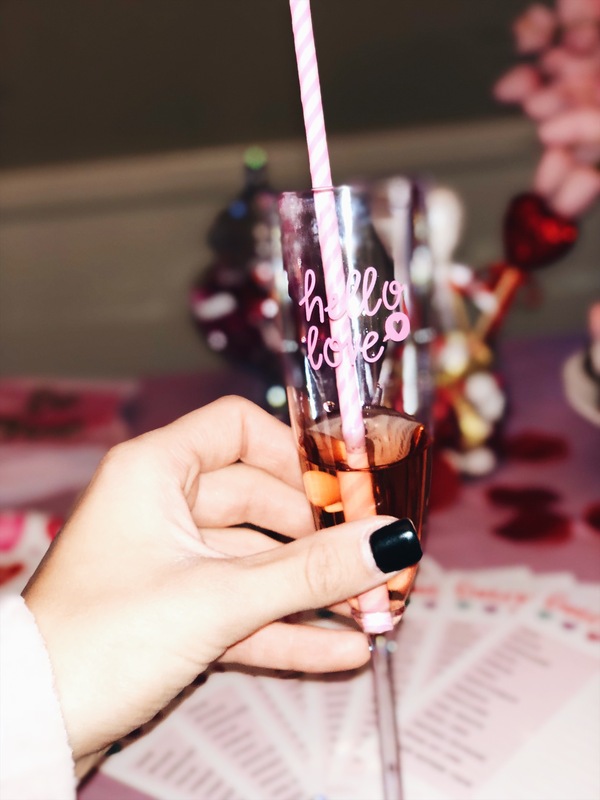 You could even plan a little gift swap or prepare little party favors for your guests! Thank you so much for reading! I had so much fun shooting and writing this blog post. 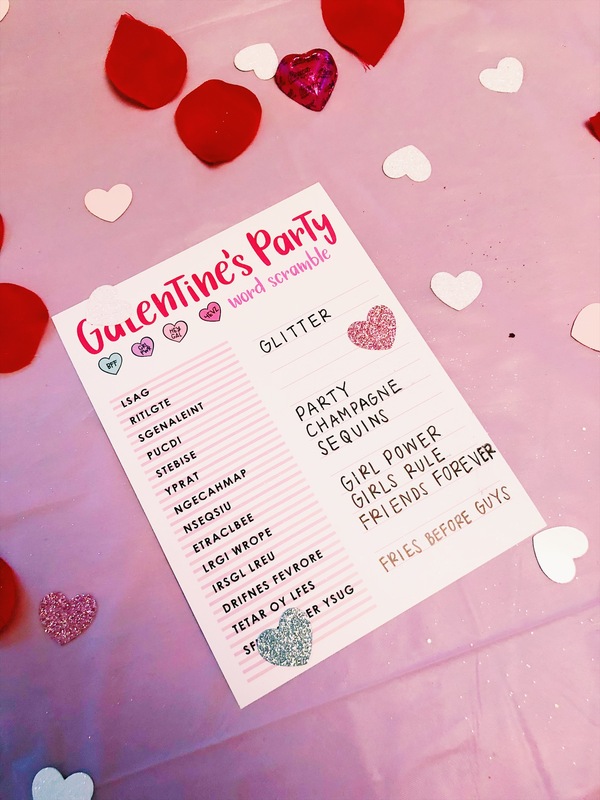 I hope you can use my tips and tricks to throw your own Galantine’s day party with your girlfriends!!! Have an amazing rest of the week. Let me know what blogs you would like to see next in the comments below! !